Questions? Let us help! Contact the Reference staff at the Missouri State Library. For assistance in accessing federal government information or publications, contact the Reference staff at the Missouri State Library. 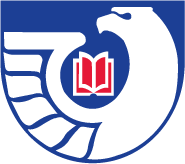 The Missouri State Library participates in the Federal Depository Library Program, administered by the Government Publishing Office (GPO) in Washington, DC. The Missouri State Library provides access to federal government resources and assistance in finding federal government information. View U.S. government information online by using the links in this guide. This guide is not comprehensive, but resources are selected based on regional interests and needs. It was last updated on April 8, 2019. Search or browse our collection of print documents through our online catalog or visit us in person. Ask! Contact Laura.Kromer@sos.mo.gov or call 573.751.4552 for assistance with finding federal information or using any of the resources listed. To chat, submit a question via the blue "Ask us" tab on the right of this page. For a more comprehensive federal government documents collection, please visit the Missouri's Regional Federal Depository Library at the University of Missouri. Includes links to the U.S. Constitution, the Bill of Rights, the Gettysburg Address, the Declaration of Independence, and much more. Visit Constitution of the United States of America: Analysis and Interpretation for more. View FLDP-curated LibGuides on a variety of topics. The official handbook of the U.S. government. The Government Publishing Office (GPO) provides free online access to official federal government publications. Learn more about govinfo through their webcasts. The official web portal of the United States government. Find information about the history, people, government, economy, geography, communications, transportation, military and transnational issues around the world.